Peter Ling, who died on 14 September aged 80, is best known to comic fans as the author of 'The Three J's' stories in Eagle which ran for 32 series between January 1953 and April 1959. 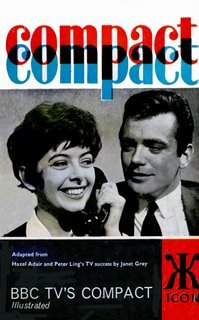 Ling was a prolific screenwriter, co-creator (with Hazel Adair) of Compact (1962-65) and Crossroads which ran for 24 years (1964-88). The latter, famous for its wobbly sets and overwrought acting, was originally broadcast on Central and Southern TV before going national in 1972. Born on 27 May 1926 in Thornton Heath, near Croydon, Surrey, Ling was the son of Fred Hugh Ling, a magician, and his wife Theodora, a schoolteacher. He was educated at Winterbourne Elemntary School and Whitgift Grammar School, he began his writing career early, selling his first article to Good Housekeeping, entiteld 'What I Shall Tell My Children--by a boy of 14'. He was also a young performer in the Ovaltinies children's radio show. Called up for war service at 18 he initially served as a Bevan Boy in the coal mines but he collapsed after three months and was declared unfit to continue work underground and later served with the Pay Corps. 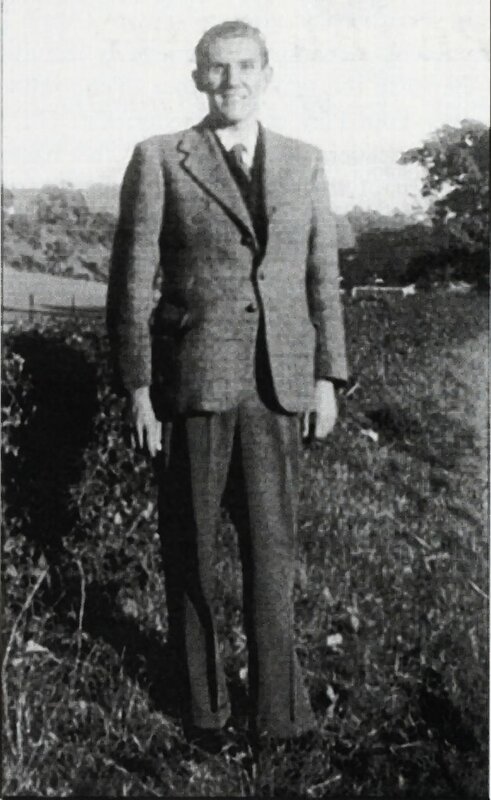 Soon after being demobbed, it was discovered that he was suffering from tuberculosis in both lungs and he was hospitalised at the British Legion Sanitorium, Maidstone, for the next two and a half years where he penned his first book (Voices Offstage, London, Longman, Green & Co., 1947) and began writing jokes for radio shows. Jon Pertwee was the first radio star to spot his talent and encouraged Ling to write gags for his variety show, Waterlogged Spa. In 1950, Ling made the leap to TV, writing for the children's magazine programme Whirligig and a pantomime for the BBC, Aladdin, broadcast on Boxing Day 1951. Ling was introduced to Ellen Vincent, the assistant editor of Eagle, who was looking for a series of school stories. Ling set his stories at Northbrook, a day school modelled on Whitgift which was attended by both fee-paying and scholarship boys. The story fetured three heroes, John Allen, Jimmy Davis and Jacko Eccles. It is interesting to note that Ling had been introduced to Ellen Vincent by Jimmy Grafton, pub-owner and sometimes BBC Radio script writer, who had been influencial in helping Spike Milligan develop as a script writer. Ling had attended the first recording sessions of Goons predecessor, Crazy People, which was soon to change its name to The Goons, featuring another character named Eccles. In 1954, Ling married Sheilagh Potts (professionally known as actress Sheilah Ward, who worked on Whirligig), with whom he was to collaborate on a number of serials for Eagle's companion paper, Girl (' Two Pairs of Skates', 1956-57, and 'Penny Starr', 1957). Ling continued to write for television, and even recreated his Northbrook stories on television in 1958. Ling, as a script editor for Rediffusion, wrote episodes of various series, including Dead Giveaway, Crime Sheet, Counter-Attack, The Roving Reasons and The Avengers. 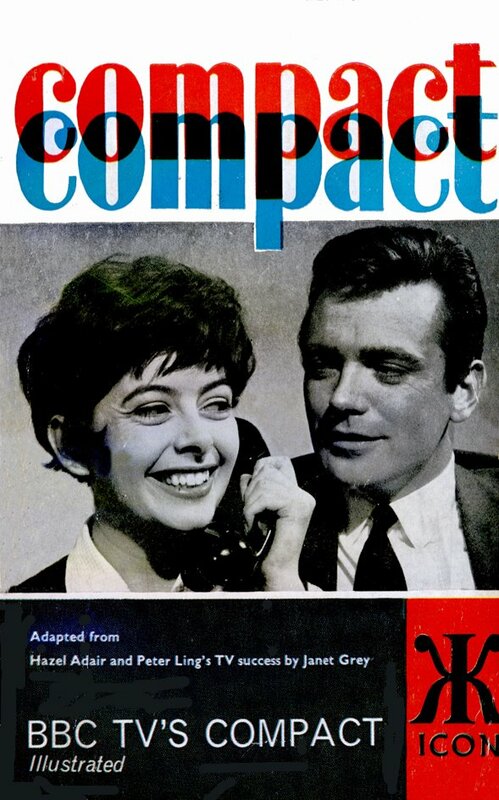 Compact, set in the world of magazine publishing, began broadcasting in January 1962, appearing twice-weekly. Such was its success that Ling and his co-writer Hazel Adair were asked to lunch by Lew Grade who wanted them to baby sit a new soap to be set in a boarding house which he was planning. The two writers decided this did not appeal to them but they would be interested if they could devise something themselves. Grade gave them a weekend to come up with a new premise. Ling recalled seeing a notice for a motel on one of his car journeys; he knew what a motel was from American movies but this was the first time he had come across one in England. Adair warmed to the idea and Crossroads was born. Ling would be associated with the show for twenty-three of its twenty-four year run. Ling's other writing credits included Dixon of Dock Green, Sexton Blake, Champion House and the Dr Who episode, 'The Mind Robbers' which he later novelised (1986). Ling had earlier written two novels for Hulton Press, The Three J's and the Pride of Northbrook (1957) and Angela Has Wings (with Sheilah Ward, 1960), the latter based on the character 'Angela Air Hostess' created by Betty Roland. 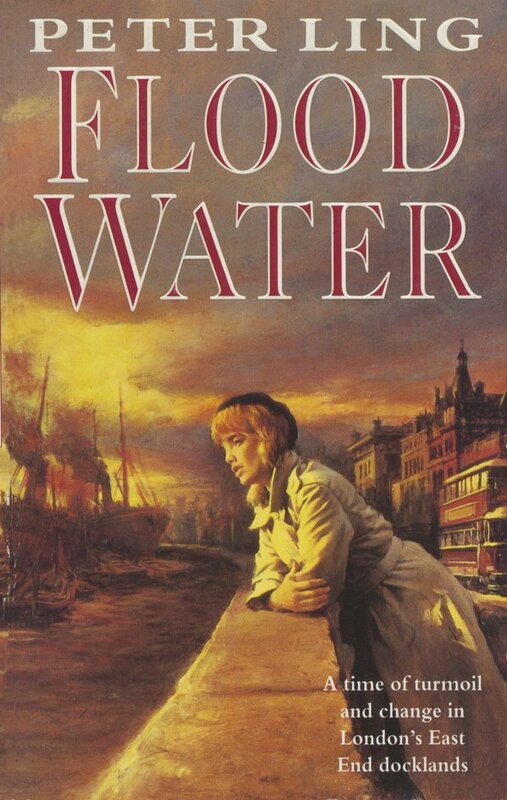 In the late 1970s, Ling wrote three bodice-rippers under the pen-name Petra Leigh (Garnet, 1978; Coral, 1979; and Rosewood, 1979); he began writing novels under his own name in the late 1980s, including two trilogies: the Crown House trilogy (Crown House, 1988; Crown Papers, 1989; and Crown Wars, 1996) and the Watermen trilogy (High Water, 1991; Flood Water, 1992; and Storm Water, 1993). He also wrote two non-series novels (Halfway to Heaven, 1994, and Happy Tomorrow, 1995). He continued to write for radio, adapting Sherlock Holmes, Arnold Bennett's 'Imperial Palace' and John Dickson Carr's 'Gideon Fell' in the 1990s. 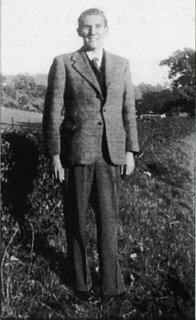 Peter Ling lived for many years in Hastings with his wife and three cats. Sheilagh Ling died in 1997, and he is survived by their four children. I've derived some of the above information (and the photo) from an inteview with Peter Ling by David Gould published in Eagle Times in 1999. Obituaries have appeared in The Times (21 September) and Wolverhampton Express & Star (22 September). Peter Ling has entries in the IMDB, BBC Guide to Comedy and Wikipedia. An interview can be found at the Crossroads Appreciation Society web site. Further obituaries for Ling have appeared in The Independent, The Guardian and the Daily Telegraph.